The seemingly randomly arrayed village centre of Binalong is one of the most charming in Australia, with the old general store, bank and classic country hotel evoking a placid setting for a village once beyond the limits of civilisation of the early colony. Think of a time when a young Banjo Patterson attended the local school with the children of small time bushrangers and the days when the peace was shattered by bullets bouncing from trees and rocks as notorious outlaw Johnny Gilbert lost his final gunfight to rest in a lonely grave you can visit just outside town. Binalong is home to some outstanding examples of colonial architecture. 1947’s Cobb & Co staging post with its wonky bush frame and primitive features is now the Black Swan Gallery an informal wine bar where you can eat surrounded by art and watch painter Yvette Gilroy in her studio, while the original Patterson pub is now a private home. Nestled in gently wooded hills on Burley Griffin Way, Binalong is perfect for walking, cycling and RV travel. Visitors can marvel at Orrefors-trained artist Peter Minson coaxing extraordinary shapes from glass with just a flame and see his delicate Australian birds and wine glasses. At the same studio, Lindsay McDonald fashions amazing colours in murano glass jewellery. You can relax at the Glass Teapot Cafe. An unexpected find is a motor museum featuring rare cars and bikes, in which you can see the active restoration of famous marques like Bugatti, Packard, Delarge and Lotus and enjoy garden picnic areas and barbecue facilities. Groups can see shearing, working sheep dogs, whipcracking, and branding at Kuriong Sheep Station just outside town. 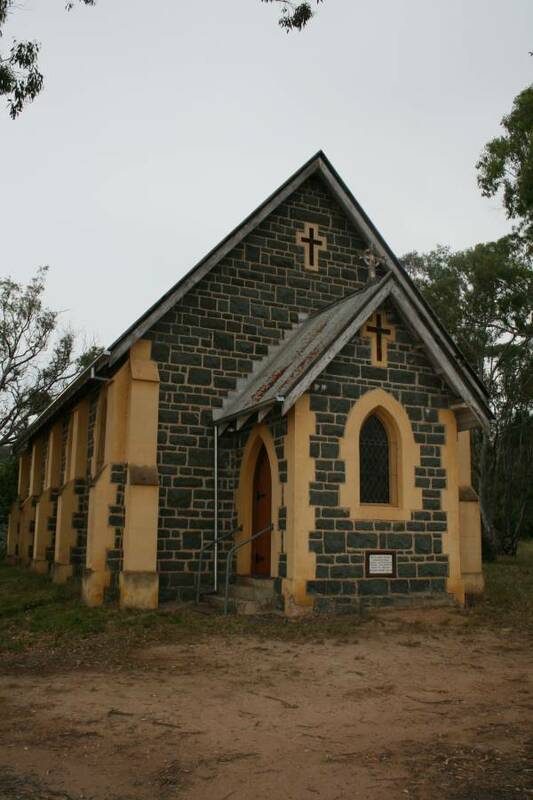 Binalong was the setting for Banjo Patterson’s famous poem The Bush Christening. The tradition continues today with this historic village host to the NSW Bush Poetry championships in September biennially. St Clement’s at Galong became a home for the Redemptorists in 1917, when ‘Galong House’ and its surrounding 800 acres, the home of “Ticket of Leave” convict Ned Ryan, was left to them by his son, John Nagle Ryan M.L.A. The cemetery lies about a kilometre to the east of Galong House (monastery) and is likely to date back to the 1830s. In 1987 the National Trust of Australia classified Galong Cemetery recognising its historical and cultural significance.